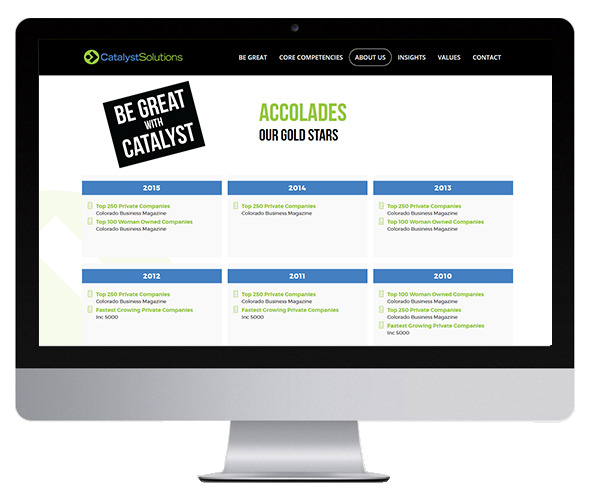 Catalyst Solutions contributes to the greater good of the health care industry through innovative health care delivery, improved communication and member satisfaction, increased operational efficiency, and improved core administration systems performance. The core of our business is helping clients assess, implement, upgrade, and enhance core and ancillary systems and processes. 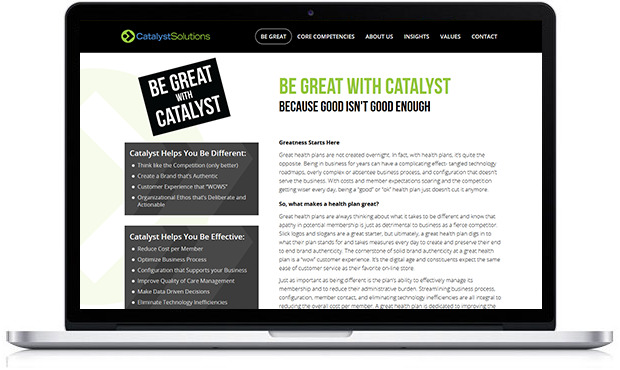 Catalyst Solutions requested a simple and clean website aesthetic, while avoiding a text-heavy layout. We designed it to allow for simple navigation of their information to website visitors. Back in 1999, Rachel Hennig set out on a mission to grow a local Colorado consulting firm into a large-scale national player in the payer marketplace. 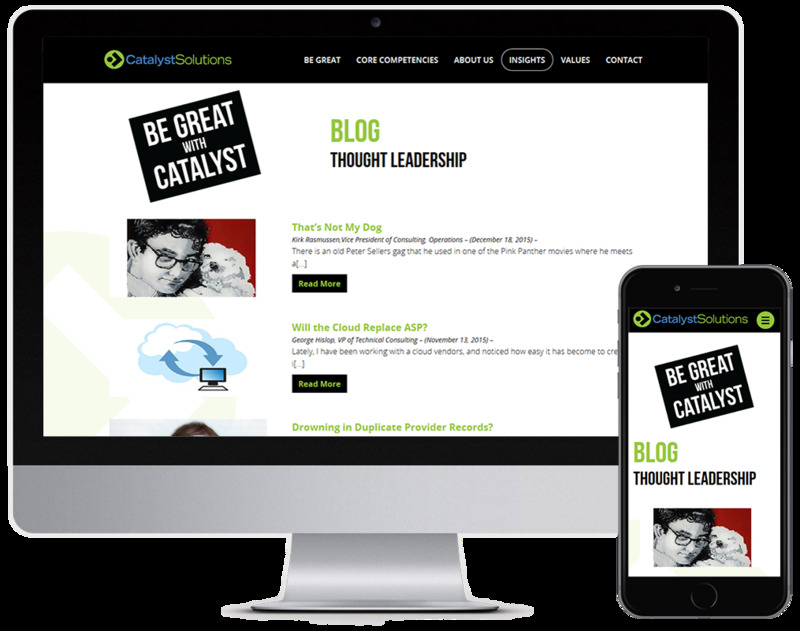 Catalyst Solutions was formed with a big dream in mind. 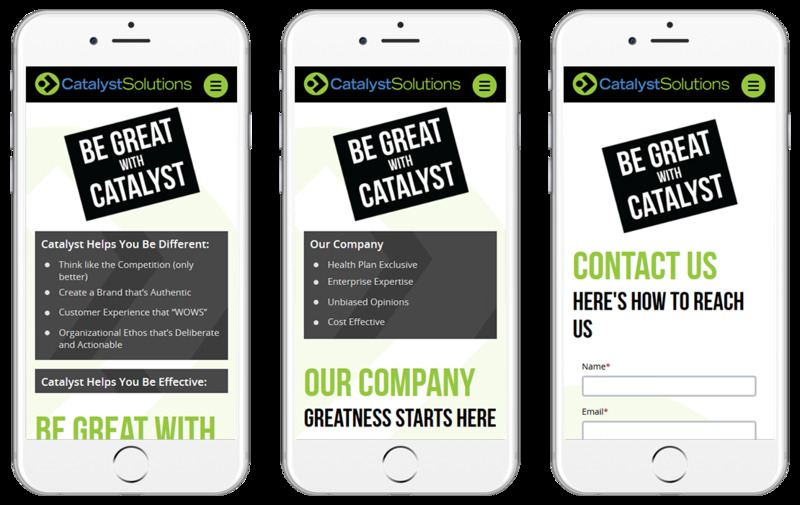 We designed some visual representations of the company's success and with some simple front-end code we brought the information to life.